The 2018-2019 Animation Capstone application is open! Join our team for a unique creative and collaborative experience, and learn about 3D and AR/VR filmmaking! Find our application here. Contact Barbara Mones (mones@cs.washington.edu) or Erin Caswell (emc29@cs.washington.edu) with any questions! 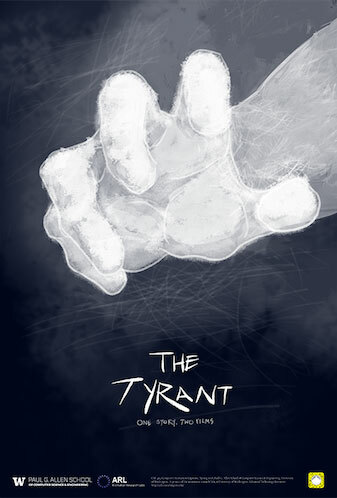 Join us on June 1st for a screening of the Reality Studio's latest production, The Tyrant! Hosted in CSE 691, this screening will be a unique opportunity to experience a story two ways, in traditional 3D animation, and in VR.